Rachel Beanland spends her days serving as the deputy director of the Visual Arts Center of Richmond, her nights working toward an MFA in creative writing from Virginia Commonwealth University, and her (very) early mornings writing essays and fiction. She holds bachelor’s degrees in art history and journalism from the University of South Carolina and a graduate certificate in arts administration from Winthrop University. Her essays have appeared in Creative Nonfiction and Broad Street, on Brain, Child‘s blog and in R-Home magazine, among other places. Rachel’s first novel, Florence Adler Swims Forever, is forthcoming from Simon & Schuster and will be published in the summer of 2020. The novel is set in 1934 Atlantic City and is based on a true story that took place in Rachel’s family more than eighty years ago. She is at work on a second novel set in present day Guatemala. 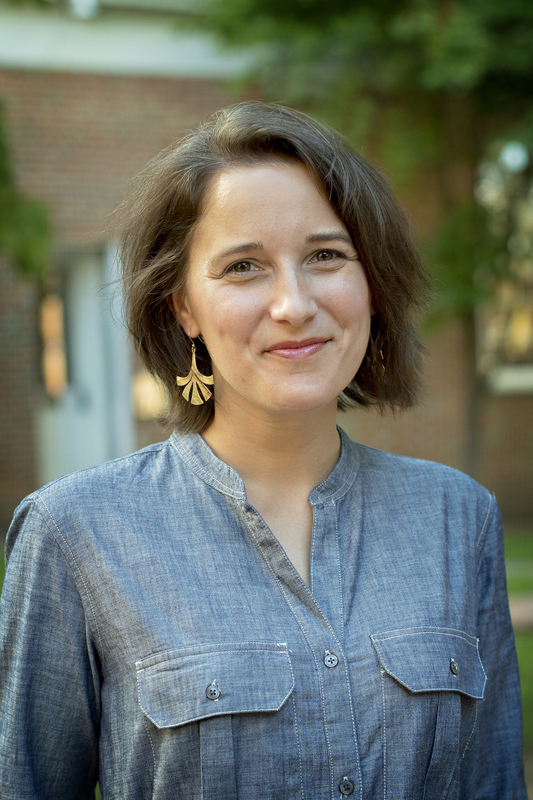 Rachel lives in Richmond, Virginia with her mathematician husband and their three children. It’s the summer of 1934 and Florence Adler has returned home to Atlantic City from college, intent on swimming the English Channel by summer’s end. When she drowns, while out on a training swim, she leaves behind seven family members and friends who must navigate her loss over the course of the summer—and beyond. There is Florence’s older sister, Fannie, who is pregnant again after recently losing a baby. She’s on bed rest at Atlantic City Hospital while her seven-year-old daughter, Gussie, and her husband, Isaac, make do without her. There are Fannie and Florence’s parents, Esther and Joseph, who have built Adler’s Bakery from the ground up and who thought, until now, that they had realized the American dream. Anna is a young woman, almost exactly Florence’s age, who Joseph recently helped emigrate from Nazi Germany. And there’s Stuart who is a lifeguard with the Atlantic City Beach Patrol and heir to a Boardwalk hotel that doesn’t serve Jewish guests. In the aftermath of the tragedy, Esther decides that the family must keep the news of Florence’s death a secret—at least until Fannie has delivered a healthy baby. This decision and its resulting tensions, becomes the backdrop against which other family secrets are slowly revealed. The novel examines the secrets we keep for the benefit of others and whether we have the right to decide what people get to know about their own lives.